All the latest headlines from the newspapers in Italy as Massimiliano Allegri suggests that depending on Champions League progress, Juventus will make signings in January. – The new Italy’s first outing after the World Cup flop. The CT to start with Simone Zaza, Ciro Immobile and lots of the players from Brazil. – Argentina ruin Germany’s party (4-2). 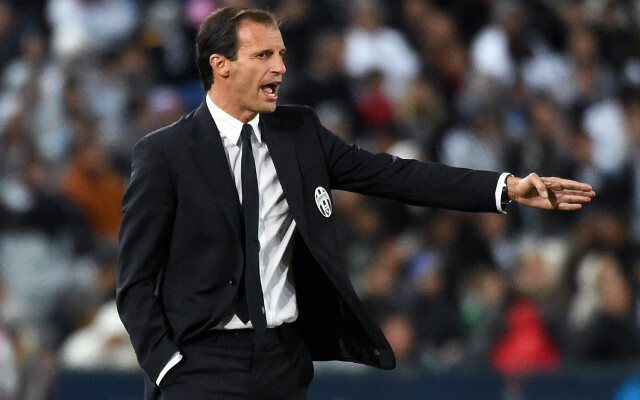 – Massimiliano Allegri: “Juve forward in the Champions League and then new signings. Milan for the podium in Serie A”. – Rodrigo Palacio’s goals are back and [maybe] Pazza Inter. – Shopping and…Yuto Nagatomo, a reborn Keisuke Honda in Milan. – A first goal 20 years ago, this is how Francesco Totti became magic. – Conte, youth turning point. – Italy start again, the CT chooses youngsters against Holland. – Immobile, Zaza, Sirigu and De Sciglio. – Great enthusiasm at Bari (20.45). – Italian clubs in crisis, Europe’s big clubs are far away. Real Madrid earn twice as much as Juve, who are our leaders. – Juventus try again for Adrien Rabiot. – Gonzalo Higuain injured, controversy. Argentina, what revenge: Four against the Germans. – Carlo Ancelotti-Perez cold war at Real. – Stefan De Vrij reveals: “I don’t understand my teammates”. – “We have to get through the groups, then there will be the winter window. Nevertheless, even if we stay like this my Juve can count on a competitive squad”. – Here is Conte’s Italy: “We will set an example”. – Angel Di Maria show, Germany KO. – Amauri: “Toro, what a stomach”. – A Spanish Milan, Suso ordered.